We love Niagara-on-the-Lake (in Ontario). It’s the place that we choose to go to spend a weekend away. It’s close enough to where we live that it’s only a few hours’ drive, and is like another world. Our favourite place to eat is most definitely the Irish Harp Pub. It has the most amazing food, it has a great atmosphere (especially if you score the seat next to the wood-burning fireplace in the wintertime), and the specials they offer are nothing short of amazing. We’ve grabbed some amazing dishes for prices you wouldn’t get anywhere else…but the kicker is…IT’S SO GOOD. Last Christmas, we made the trip down on our school holidays. We went to the pub for dinner, and had Bangers & Champ. Have you ever had champ? If not, you’re missing out, and if so, you know what I’m talking about. 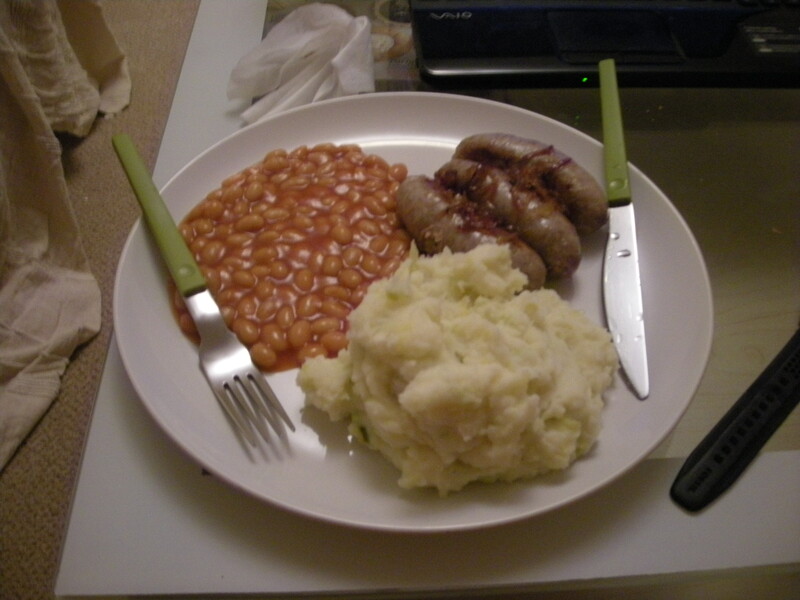 It is an absolutely spot-on variation on my life-long favourite, the mashed potato. We looked to see if we could find a similar thing to have at our flat, and here it is (Luke’s own concoction!). We usually pair it with bangers (pork sausages) and sautéed onions, or Luke’s roast chicken with the veg of your choice (we love our garlic Brussels sprouts). Bangers, sautéed onions, baked beans and these delicious potatoes. Essentially, all you need to do is to add leeks to your favourite mashed potato recipe, to get something entirely different! 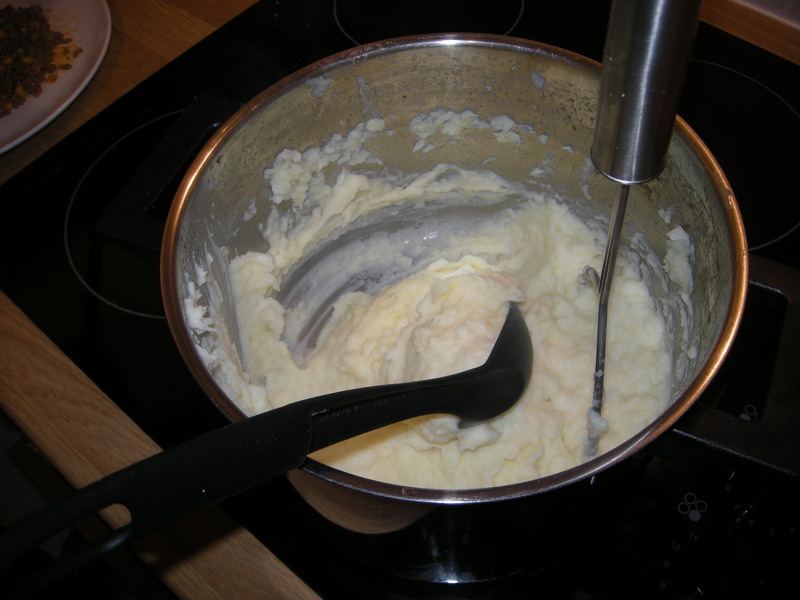 In order to get the perfect results, cook your potatoes, but don’t add any of your mixins (butter, milk, salt, etc. ), and don’t mash them quite yet. Cook your leeks (just the middle bit, not the white stump or the dark green leaves) in a frying pan with a little olive oil until translucent and soft. Mash together cooked potatoes, butter, salt and milk (and whatever else you usually add to your mashed potatoes), with the cream cheese and leeks. This entry was posted in Recipes and tagged leeks, mashed potatoes, recipe, yummy. Bookmark the permalink.